. ببساطة كل الخدمات وأساليب الضيافة التي تشتهر بها Shangri-La Hotels and Resorts تجعلك تشعر وكأنك في بيتك. يمكن الاستمتاع بمجموعة من الخدمات على أعلى المستويات في الفندق كمثل خدمة الغرف على مدار الساعة, واي فاي مجاني في جميع الغرف, مكتب الاستقبال على مدار الساعة, مرافق مخصصة لذوي الاحتياجات الخاصة, تسجيل وصول/خروج سريع. بالإضافة لهذا، تتضمن كل غرف الضيوف مجموعة واسعة من وسائل الراحة . بعض الغرف توفر حتى تلفزيون بشاشة مسطحة, غرفة معيشة منفصلة, كاشف دخان, اتصال لاسلكي بشبكة الإنترنت (مجاني), غرف لغير المدخنين لإرضاء أكثر الضيوف تطلبًا. سواء كنت من محبي الرياضة أو كنت تتطلع لتفريغ عناء نهار صعب، ستجد خدمات ذات مستوى عالي بانتظارك كمثل حوض استحمام ساخن, مركز للياقة البدنية, ساونا, حمام سباحة داخلي, سبا. استمتع بخدمات لا يعلى عليها وعنوان ذو اعتبار في فندق شانجريلا . A surcharge of 1.5% applies when using a credit card. Please contact the property for further details. We had a 4 night stay here. Staff is superb! 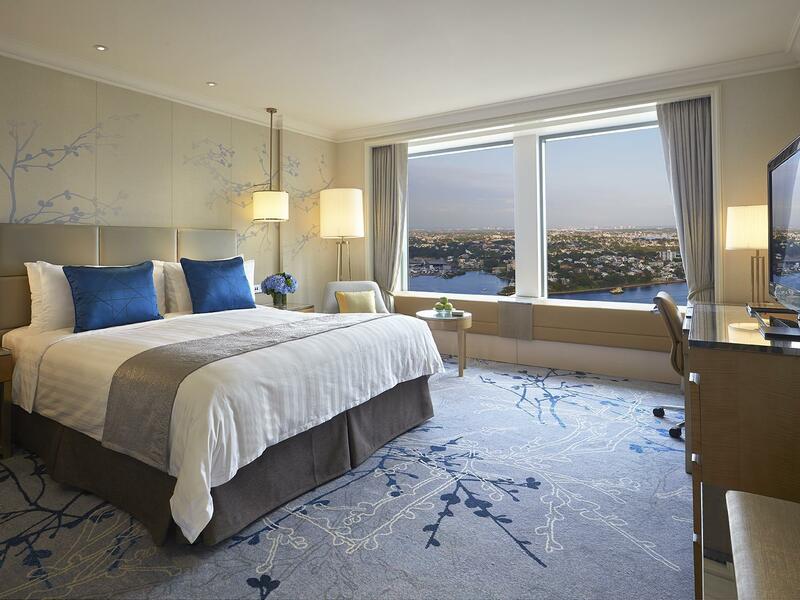 The room "Premier Grand Harbor View" we booked on the 17th floor have an breathtaking view! I'm very happy with my stay, and definitely will be back again! 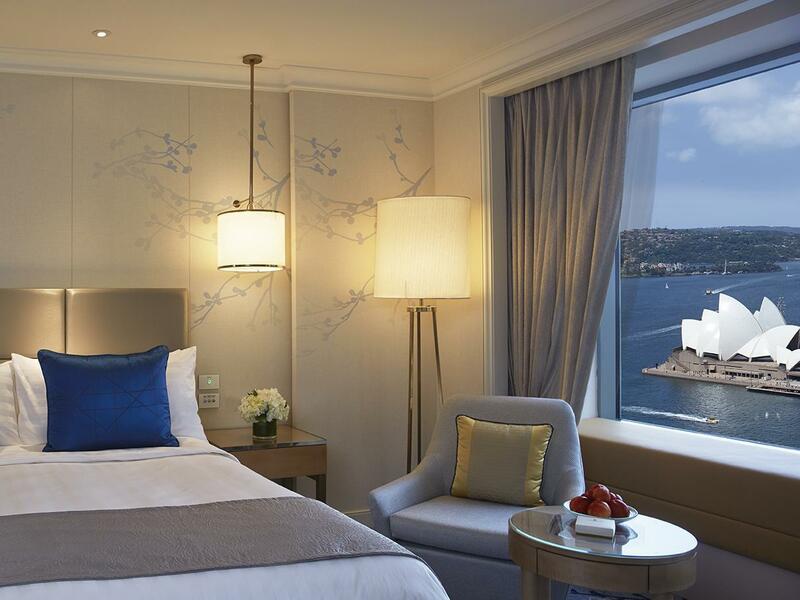 The hotel is just 5-10 minutes walk from the opera house. The room is clean, staffs are friendly. I was lucky to have an early check-in free of charge. There was a room on the fifth floor available, the reception informed that we would not be able to change to a higher room afterward which was fine for me, as most hotels would charge the early check-ins. As in early check-in I mean 9 AM kinda early! Very satisfied with this. During my stay, I also booked a tour to Blue mountains via Shangri-la, they picked us up right at the hotel. The only thing I was disappointed with was the breakfast. While I was booking the room, I realized that there was a big difference between the room that comes with and without breakfast. The difference was so big that I thought the breakfast should be extremely good. So I opted for it. Very disappointed as it is just a normal breakfast. It had the essentials, but nothing more than that. All in all I was satisfied with my stay. From the point of checking in till the point of us leaving, the experience fell way short of what was expected from a Shangrila Hotel. The service by the staff at the front desk and at the breakfast restaurant was so bad, that we decided that we would not eat at the restaurant again, and rejected the extension of check-out time. Mistakes were made by the staff repeatedly, and yet it would seem that they were not even apologetic. 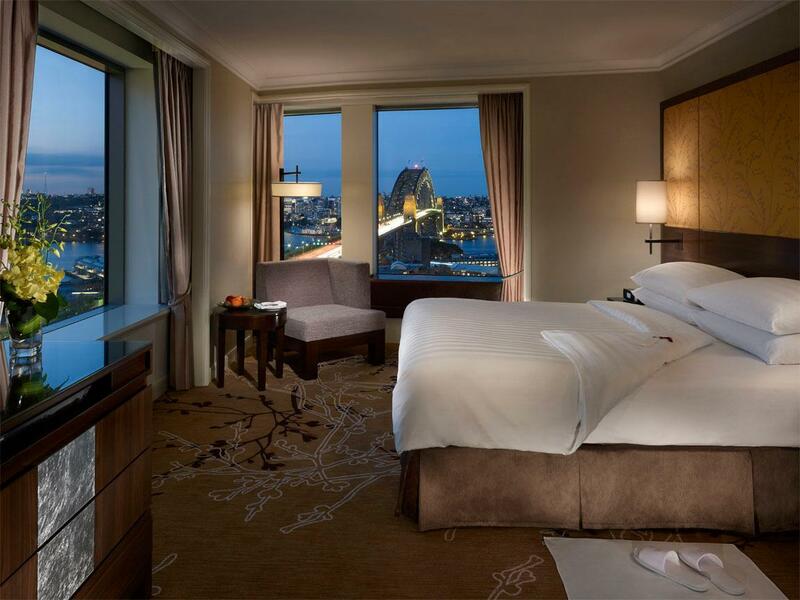 Somehow, having stayed at Shangrila Hotels in Singapore and Hong Kong multiple times, I am unable to comprehend the vast drop in standards in this Sydney hotel. Would definitely avoid this hotel in our future trips to Sydney. Feeling sad for the Shangrila and Golden Circle group. Literally, they are the best asset this place has. Nothing is too much trouble for them. They are polite, courteous and have the best attitude I've actually seen from hotel staff the world over. The hotel is also clean, spacious and well presented in an old style charm that suits Sydney well. Location is excellent, being only a stone's throw away from the Harbour Bridge and Opera House landmarks. The only thing, if I were to say so is that the roads in the surrounding areas are best avoided and either taxi or public transport and a short walk being your best options here. The condition of the roads is nothing short of atrocious, stupid one way streets that send you in circles, pot holes galore, light rail upgrade works nearby, and generally cramped traffic conditions make driving here a task. There's also a $58 per day valet parking charge to store your vehicle if you choose to. Best to park at an offsite location and get the train there. Otherwise, this is a magnificent place to stay. The room we had had a decent view of the harbour and the Opera House. 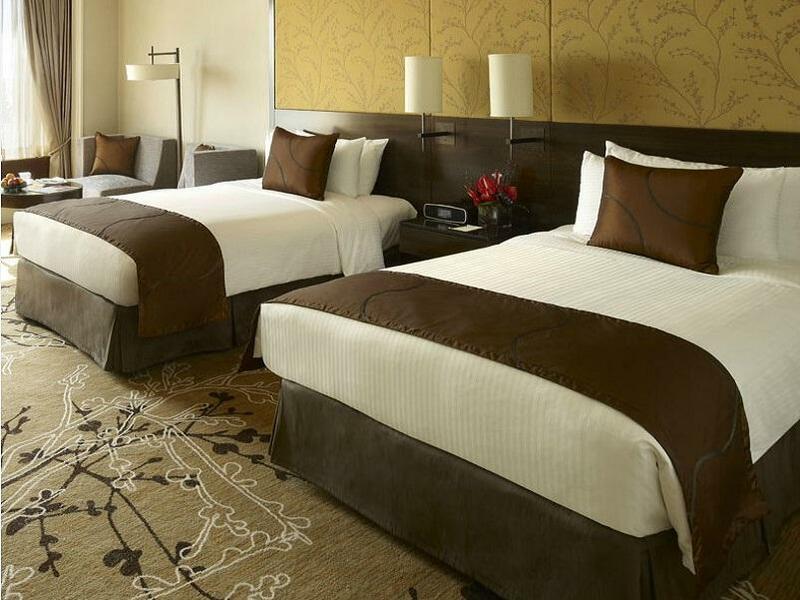 Rooms are clean, luxurious and large. Pretty new and well kept compared to other Shangri-las. Staff were very friendly and professional. A slight issue we had was we called for an extra blanket on our first night but ended up not getting it. I fell asleep without my 2nd blanket. They sent it to us when we asked again on our 2nd night. Location seemed central but due to the road directions and also the ongoing construction works, it was difficult to drive to. Its an uphill distance from the nearest transit station. Also, i celebrated my birthday there but never received any complimentary well wishes. The price to quality was good but the parking fees per night were very expensive. We had a room with a view of circular quay and the harbour bridge. Spectacular view of the vivid festival. Staff were friendly and very accommodating of our young children. Check-in was seamless and fast. Highly recommend staying here. Footsteps from the Sydney Harbour Bridge, The Sydney Opera House but we also got the view to our room as we got a harbour view room. Everything is at the doorstep since Ferries, trains and buses leave regularly from Circular Quay and will take you... anywhere. For a suite you'd expected better, the view rom the suite is excellent but since it isnt a new hotel, you might find several things out of place. The hanger is falling off the wall, and the wallpaper peeling. The staff in front of the hotel is not helpful at all. We were asked to bring in our suitcases inside ourselves. This is a world class hotel not a motel. The Altitude restaurant on the top of the hotel was closed on Monday! It's a pity. Otherwise our stay will be better. But we dine in the Quey restaurant instead! We stayed 2 nights in this hotel and we were very happy with the room with the sydney opera house view, it was fantastic and we enjoyed our stays so much. However, couple of things that prevent us to give perfect review for this hotel are: 1. When we arrived first time and got out from a car, none of Shangrila staffs were there to help us carrying our luggages. My wife, who was still using her wedding dress, unfortunately had to help me carrying some stuffs until we sat down in the lobby. Even after checking in, none of your staffs offered us some assistance to carry the stuffs..I am not sure why, because the next guests that arrive after us, they were being look after so nicely (maybe because they have that 'look' to give lots of tips afterwards? ) we were totally confused and dissapointed. 2. The room, as i said, was perfect. BUT, throughout day and night, we can keep hearing the sound of water flowing from inside the wall. Its rather annoying but not a major thing. Had another nice stay. I had an early flight and accidentally left a few items in the room. Didn’t realise till I got to my hotel in Melbourne. I called the hotel and the staff immediately located my items and shipped them to my hotel in Melbourne. Very efficient and helpful! 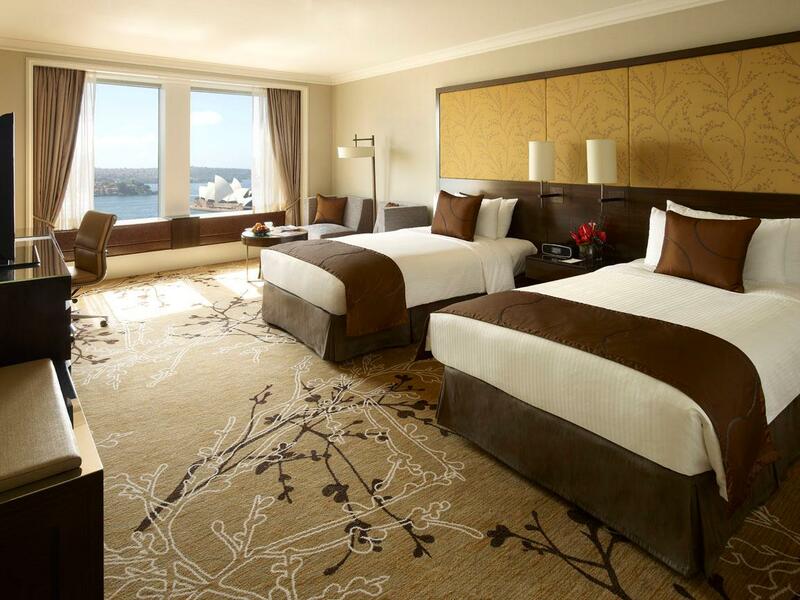 I really enjoyed my stay in Shangri-la Circular Quay Sydney. The View to the Harbour Bridge and Opera House is above all. The value for money is good, they also offered me Horizon lounge offer. The staffs are friendly and assisted me when I had lost item, they sent it to my next hotel without additional cost. 5 stars ratings for every aspects.